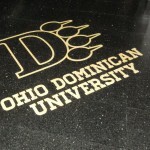 Ohio Dominican University was constructed in 1911 as an all-women’s school known as College of St. Mary of the Springs. 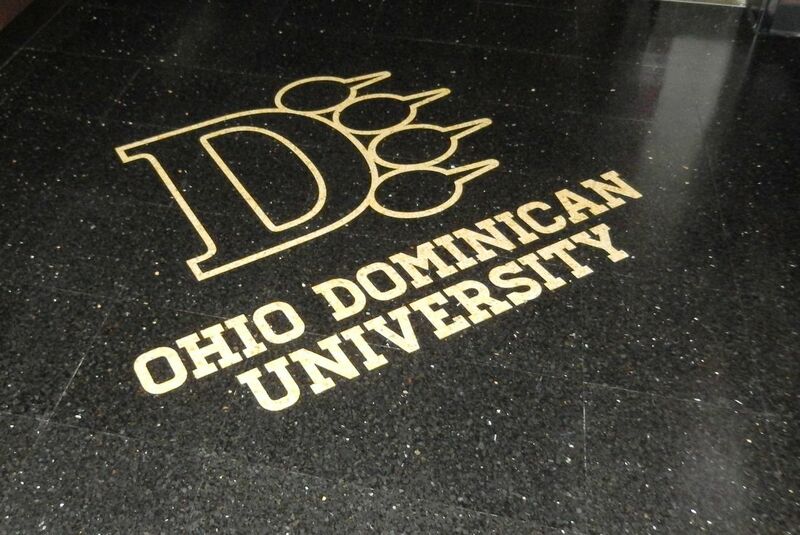 The college became co-educational in 1964, changed its name to Ohio Dominican College on July 1, 1968, and became a university on July 1, 2002. 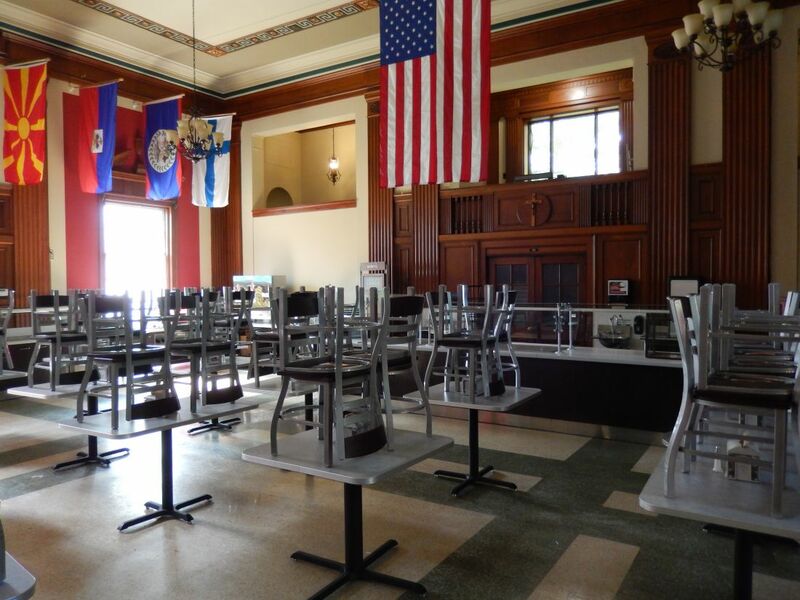 As a historical structure, there was a strong desire for the existing materials and character to remain. 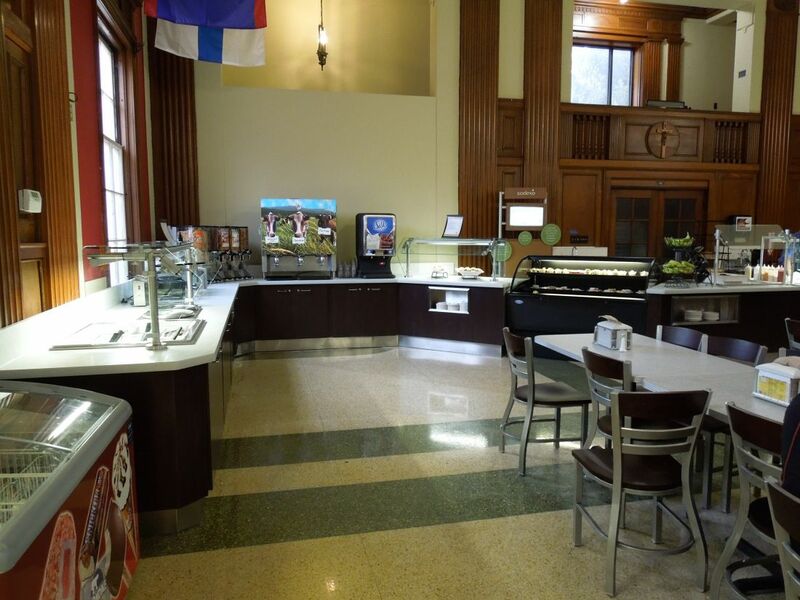 During renovations, only a small portion of the existing terrazzo floor was removed, and a new terrazzo-like flooring was installed with the custom design of the university’s name and sports logo. 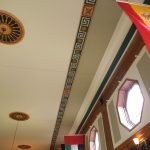 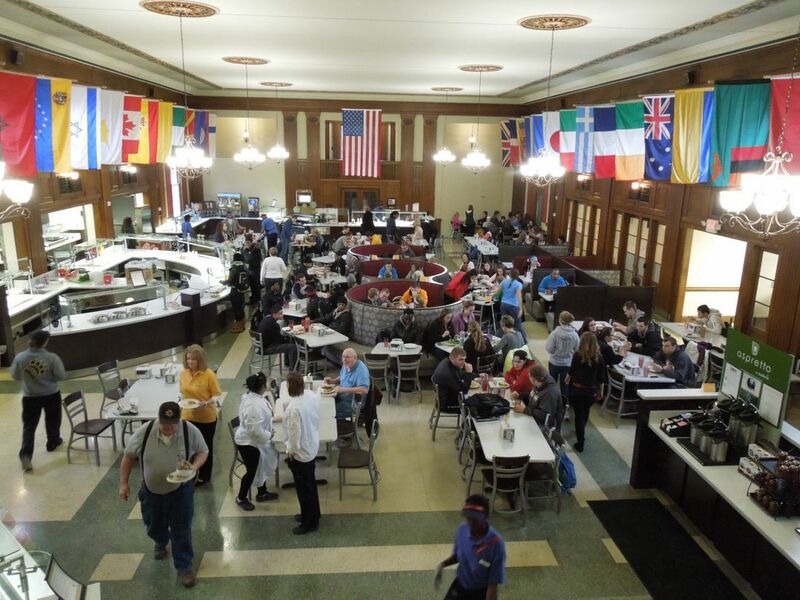 Ohio Dominican University celebrates the history of the school and the background of the students as each flag displayed in the dining hall represents the various countries of which students are from. 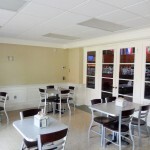 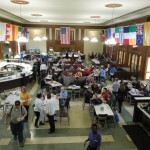 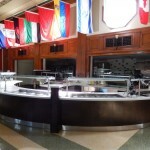 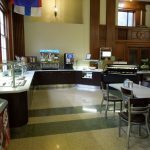 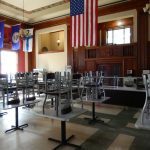 The renovation of the Hamilton Hall dining hall consisted of a new layout that allowed for buffet‐style serving areas, new seating layouts, and new commercial kitchen equipment. 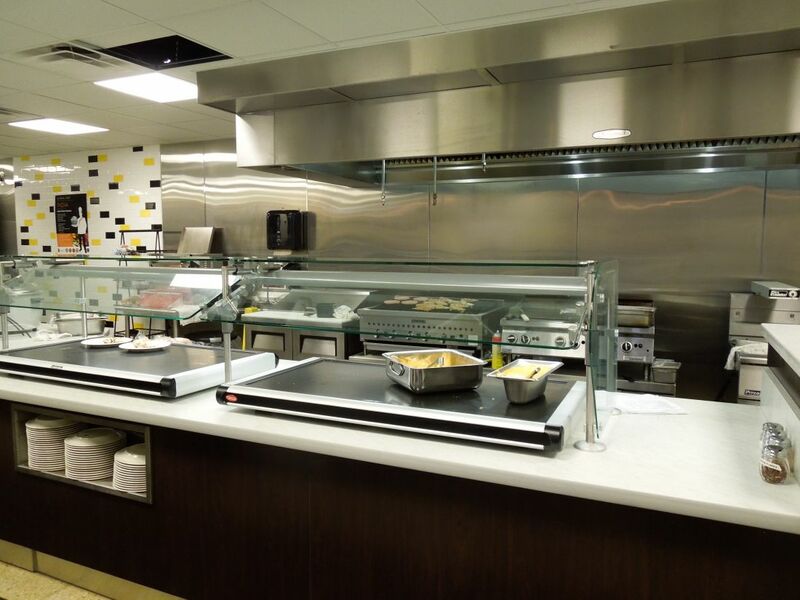 Installation of the new kitchen equipment included revised ventilation through the roof. 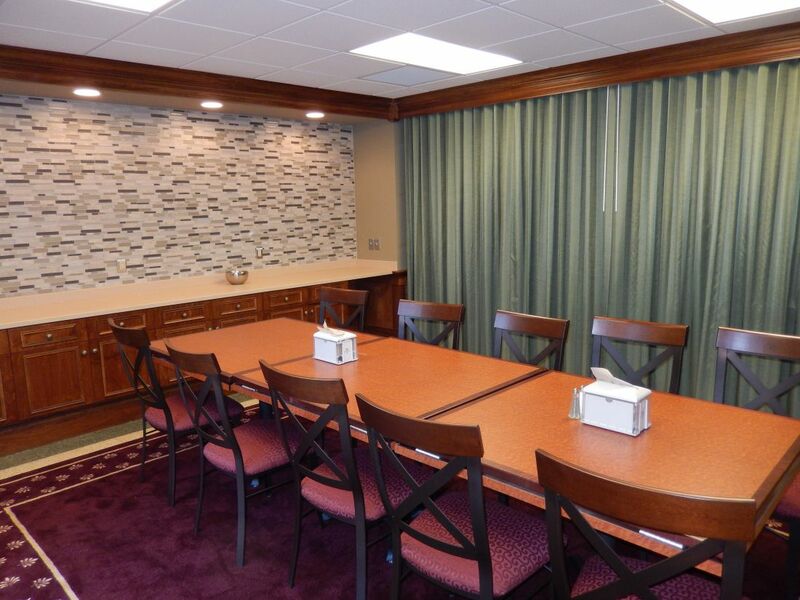 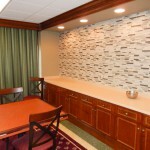 A student meeting room and a separate president’s dining room were created along one side of the dining hall. 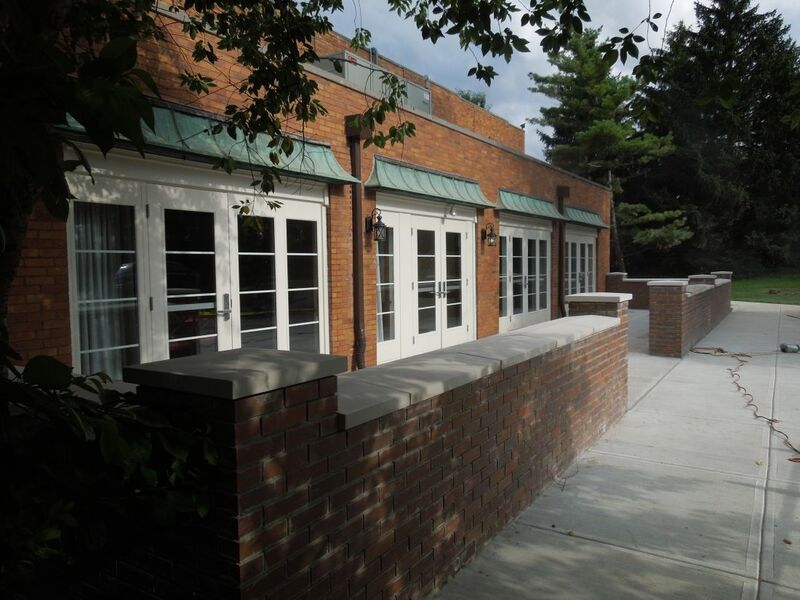 Just outside of the existing glass doors of both of these rooms are new brick-enclosed patios. 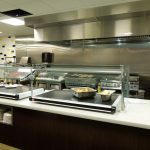 This project also included in‐depth code research for new firewalls to meet the proper fire ratings for separation of mixed‐use occupancies, code research for fire‐safety and egress, and proper drainage and grease‐traps for kitchen appliances and equipment. 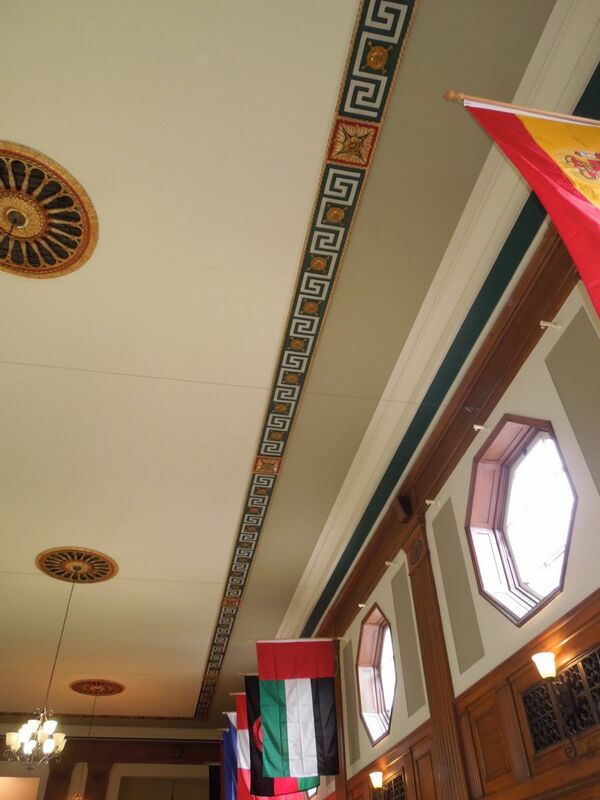 The existing sound deadening board that lined the ceiling perimeter was removed and the walls and ceiling were painted, including the detailed border and medallions. 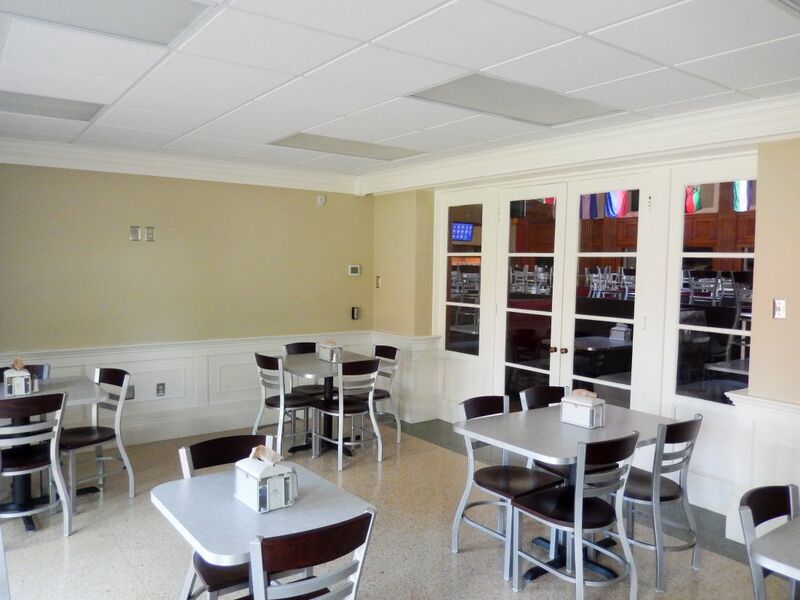 Electrical wiring updates were made to the ceiling pendants lights so energy efficient LED bulbs could be installed in the existing fixtures. 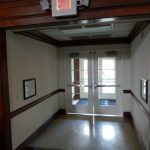 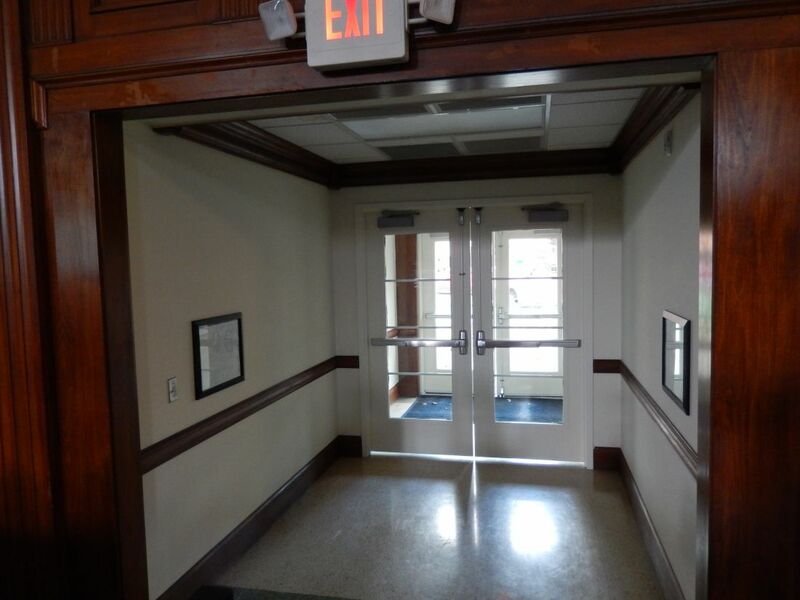 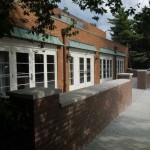 Code and security updates required an additional emergency exit to be installed between the student meeting room and the president’s dining room. 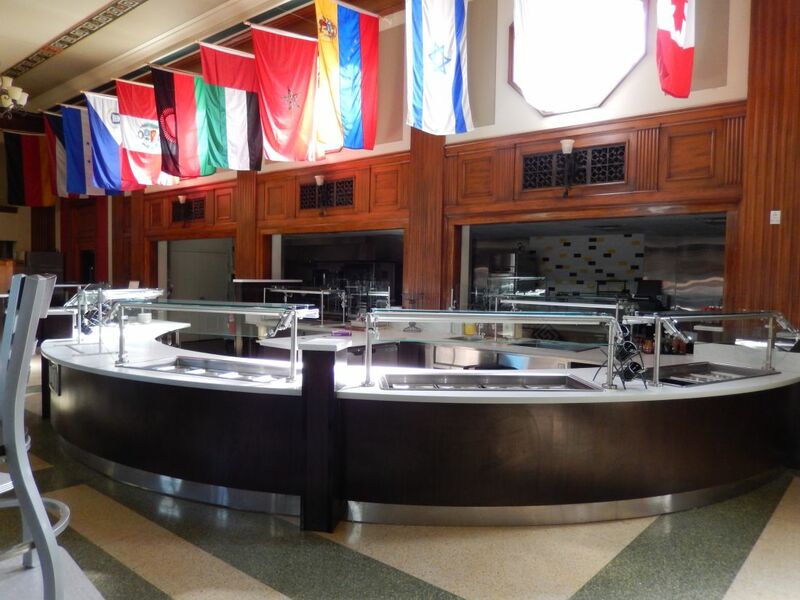 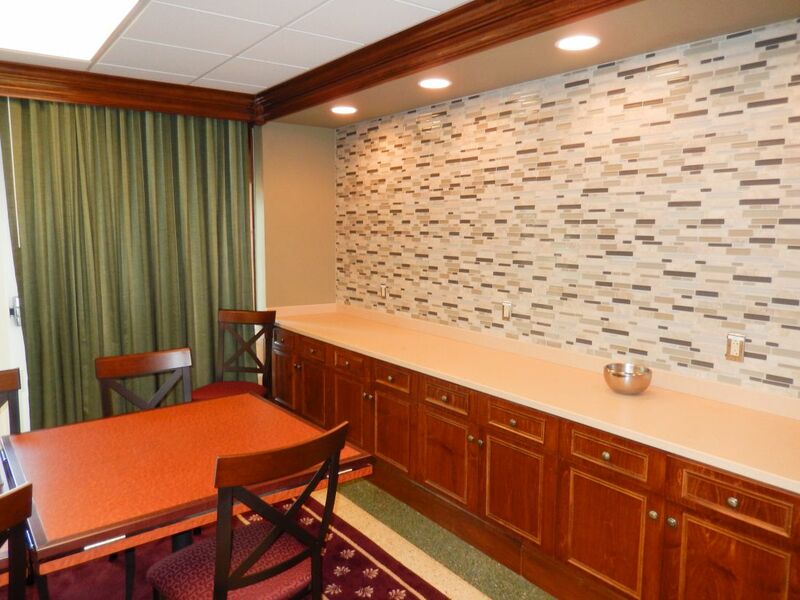 Ohio Dominican University aroused students about the renovations with this video.